Vatican, NWO, The Pope Rules Via the Papal Bull. Papal Bulls are Written on Human Skin. Get It? In the early 17th century, the Old World of Europe was becoming stale and unproductive, her workers and toilers growing uneasy with continued monarchical rule that favored the ruling elite and did little if anything useful for the working class and poor, which were more difficult to manipulate and control. England appeared to be largely Protestant on the outside, with Queen Elizabeth I openly despising Catholicism and its Jesuit soldiers; the latter drove many Catholics from her shores to the New World. The actual power behind the Tudor throne, Secretary of State William Cecil, and the Stuart throne, later his prime minister son Robert Cecil, didn’t care one way or the other what the ruling religion was, as long as their agendas were adhered to and goals met. Despite their indifference, their reigns remained anti-Catholic. So the Jesuits set their sights on the New World and began designing a new form of government, one that would, on the public surface, appear to grant freedom and liberty (on paper, at least) to its citizens with the secret intent of creating a slave state of dutiful taxpayers and obedient workers. News of this new form of government and rule spread across Europe and attracted some of the brightest minds, who emigrated to the New World in search of prosperity, freedom of religion, and freedom of speech, among other promises of independence. Underneath the gloss, though, the Jesuits operated behind the black curtain, creating a powerful and most-secret dictatorship that rules much the same even today. Those very bright immigrants soon learned the true nature of the Jesuits and their actions in America. Some chose to leave and not bear the burden of clashing with this powerful society, others chose to remain in America and learn how to work within the new system, despotic as it was to become. In creating the illusion of such a paradise, the Jesuits had to establish a strong government of men who were strongly opposed to monarchical rule on every level and who were vehemently hostile to any rule whatsoever by the Vatican and its despotic Roman Catholic Church. So the Jesuits developed various schemes to fool, entice and coerce many future leaders of America to emigrate to the New World and help build the Jesuits’ vision of this new sham government. These men had come from England and France, where liberties even to many of the non-aristocratic elite were few. To appreciate the full picture of the Jesuits’ new scheme, please consider this: if you had a high-value asset like the early American government, which represented the world’s first platform of true liberty, with democratically elected leaders and unheard-of freedoms, would you dare leave it in the hands of ordinary men to run, i.e., those not in your complete control? Could you actually trust anyone on that extreme level with your grand prize? Which is why the Jesuits carefully chose their minions to fill certain stations within this new federal government and system of state governments, groomed future leaders from the ranks of Europe’s ruling elite, and attracted other future leaders from the ordinary population, trained them according to their high standards, and retained only the most promising ones for various leadership roles. As the Jesuits designed the new American government, they took a page from the playbooks of old: set up a system of built-in antagonism. Then divide and conquer. The Jesuits did not invent this method of control and manipulation, but they certainly have perfected it over the nearly 500 years they have been in power. Take a population, slice into two parts, control each part by pitting the two groups against each other in as many ways as possible, so members of the two parts see each other as mortal enemies. Repeat as necessary until you achieve the desired result, which is subjugation of the entire population. It has worked well in every single country the Jesuits have conquered, when they were unable to control an entire population as a whole. This tactic also works well against those specific sectors of a given population (people of a particular belief, for example) that the Jesuits wish to attract and control. The Jesuits identify their targets, design and institute a new “attractant,” which may be a political party or some form of entertainment, hook their desired catch, and simply pull them in. Those who comply are rewarded. Dissenters are banished to the margins. Fifty years ago, the political landscape was seen publicly as a gentlemen’s game: politicians who acted and looked the part, little rhetoric or personal attacks in the media, few publicly leaked scandals, toned-down presentations of any political affairs on tv. The 1950s and ‘60s were a quieter time in politics for the American public, because the Jesuits were still building the government’s infrastructure after WWII and instituting new departments to fit the prevailing climate and also to prepare for coming ones. Television was a relatively new tool on the stage and, like the actors themselves, was being groomed for a much grander purpose: to unleash a new propaganda machine. For now, though, it was used by button-down reporters in dark suits, no smiles, deep commanding voices who reported on “serious” issues like the Vietnam War, anti-war protests by college kids at home, drugs and the hippie generation of do-nothings and misfits who smartly tuned out to all the goings-on. Most Americans still could not afford a television set, so the majority tuned in to radio news, shows and advertisements. At that time, America seemed perfectly content having just two major political parties, Democratic and Republican, with a handful of minor ones that were too small and insignificant for the Jesuits to be concerned with. The Jesuits felt they could control American political sentiment and action via these two main mechanisms, which had worked well over the previous 50 years. The Jesuits almost always rule from within: they start an organization via their faithful controlled followers or infiltrate an already established one whose leadership they either install or, if already in place, control via any means necessary, including bribery, extortion, kidnapping and murder of family members and close associates. This method has worked for hundreds of years across the world, and is still in wide use today. When any important Jesuit issue is threatened, they find some clever means to convince Americans to vote in favor of the Jesuits’ preference. Their method was deceptively simple: as stated previously, divide a population into two main parties, control them from within, and keep them at odds with each other by designing each with different political, social and moral ideals. The two main parties’ ideals were thought to represent those of the American people at that time, and it worked well for decades until the American people began questioning their political leaders and the very system they had believed in all their lives, and we began to see the first big cracks appears in the late 1960s. 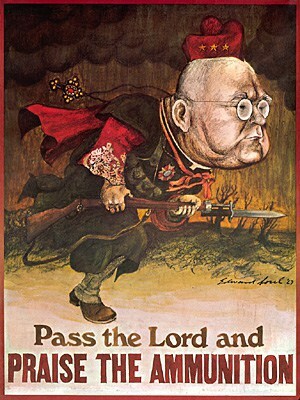 The Jesuits steered American politics in any direction they chose. Since they controlled our government and its puppet politicians, they also controlled the economy and all markets and were able to create highly effective economic depressions when they chose, or according to the points in cycles of celestiophysics, thus bringing the American people to their knees on a whim. Being fluid in design and movement, and always evolving, the Jesuits over the years have reacted to the increased American people’s distaste for either political party and so designed a third party they could use to control the new breakaway group of malcontents. In the 1970s, the Libertarian Party was instituted and, as with all other parties, controlled from within the organization. While the Libertarians never posed any major threat to Democrats or Republicans, they were successful in bringing together hundreds of thousands of those “malcontents” who may otherwise have somehow disrupted the political system, even at a state or local level. With so much to lose, the Jesuits were not willing to leave it to chance, so they instituted that safety valve. Any major political party is used by the Jesuits to control a large portion of the American population, because it represents virtually every important issue affecting Americans, from political to economic to social to education to military. What this party does not control, other organizations, even non-governmental ones like Hollywood and BigEntertainment, BigMusic, BigPharma, certainly do, using a billion-dollar PR machine that has made even the worst and most detrimental policies look completely disarming. Witness: the tobacco industry’s fight to manufacture poisonous cigarettes and cigars; the pharmaceutical industry’s fight to manufacture harmful drugs, test them in Third World countries on an unsuspecting population, then unleash them on another ignorant population, the American people; the chemical industry’s fight to manufacture harmful substances without regard for the safety and health of Americans; etc. Today’s political landscape is far from its cousin only 50 years ago: politicians no longer look and act the part; they are cartoon characters. Rhetoric and personal attacks are at an all-time high, and are being carried out openly in the media, where deeply personal issues are brought to the front, like so many dramas on popular soap operas and telenovellas. Scandals abound like never before and are celebrated as big events by BigMedia- and BigEntertainment-loving Americans. The entire political arena is a laughable circus act, carefully scripted and choreographed by multi-million-dollar production companies and PR firms that create brilliant illusion and spin. But, unlike a carnival show, this one is highly effective at attracting more and more Americans to its performances, and enticing them to do the bidding of the Jesuits. All one need do is examine one of the results: Americans’ public anti-political sentiment and actions are at an all-time high. So instead of bashing American politics, political parties and candidates, Americans have been pulled away to a new distraction and are now mesmerized by some dazzling form of entertainment. Hours a day. Three hundred and sixty-five days a year. All you can eat. The Jesuits have evolved well: when politics failed to control the population, they simply designed and introduced new forms that would attract Americans and control their actions and behaviors. On the outside, the formula is simple. And deadly effective on all levels. Again, one only need look at the results to affirm my points. From its inception, the American political system has been controlled and run by the Jesuits, who have steered politics in any way they wished. As Americans became more educated, they wanted to learn how to have a hand in the decisions that affected their lives, so they got involved in that process, if only at a local level. In Europe during the inception of America, only the elite could vote. In America, nearly every man, regardless of his station, could vote. Not only this, since voting for the candidates of their choice was such a novel idea, never before seen in modern politics anywhere in the world, many of these farmers, merchants, fishermen, etc. took great interest in the political activities of their villages, towns and cities. These hard-working souls learned to vote for people who claimed to have similar values and morals, so those representatives would effectively stand for their own interests. It was a dream come true. What those good trusting Americans did not realize then is that their representatives did not actually stand for anything other than a hook and line to attract and reel in new recruits that were soon under the control of men thousands of miles away. “An American gentleman was passenger on board a merchant ship, bound from London to Rio Janeiro. There were among the passengers Englishmen, Germans, Frenchmen, Spaniards, and Portuguese; but the person we refer to was the only American. Between himself and the English gentlemen, there were frequent discussions about politics, to which such of the other passengers, as could speak English, would listen, sometimes taking a part. “Of course, our American was a great friend to the institutions of his own country ; and defended republican forms of government, freedom of the speech and of the press, the vote by ballot, and all the other elements of popular sovereignty through thick and thin. “Assailed on every side, he found his office of champion of freedom no sinecure. Every calm morning and every pleasant evening witnessed a new controversy on the deck or in the cabin; but he manfully held his ground against a host of adversaries; and being fluent in speech, strong in argument, skilled in logic, and full of lively and sarcastic humor, he generally came out of the debate with honor, taking care always to terminate the action at precisely the right moment, and to quit the field with flying colors. “Among the persons who listened with the greatest attention to these debates, was a lean bilious looking old Frenchman, who always took care to be present, and who showed by his look and manner, that he was deeply interested in politics, although he never by any chance uttered an opinion or made a remark on political subjects, in the general circle of the passengers. “In point of fact, this man was a Roman Catholic priest, a Jesuit of high standing, who was going to some station in South America, in obedience to an order from his superior. He was a cosmopolite indeed. “Though not much past the middle point of life, he was rather aged in appearance, in consequence of the great variety and extent of the missions which he had performed in all quarters of the world, and in every kind of climate. From Canada to Calcutta; from the breezy heights of the Andes to the unwholesome marshes of Java, by sea and by land, in season and out of season, this man had journeyed on the secret errands of his order. Speaking fluently a dozen different languages, and possessing the most perfect power of dissimulation, as well as the most thorough devotedness to the church, and those carefully trained habits of obedience, which are so essential to the character of an able and faithful Jesuit, he had at length become one of the most accomplished men of his age. “As he listened to the conversation of the American passenger, he could not help noticing, that he was gradually making converts to republican views. Many of these passengers, he observed, sought private interviews with the American; and by careful eavesdropping, he ascertained that their object was to ask questions about his country, and gain information respecting the actual working of the American attempt at self-government. “When the passage was nearly over, the Frenchman happening to be alone with the American, in a retired part of the deck, where their conversation could not be overheard, commenced a quiet chat with him. Addressing him in English, which he spoke with ease and precision, he thanked him with apparent cordiality, for the entertainment he had derived from his conversation or rather eloquent haranguing to the other passengers, during the voyage. “He professed to have enjoyed their debates very greatly ; and gave the American due credit for his wit, his logic, his humour, his address, and his unbounded good nature. “The American was much pleased at his compliments; for he had conceived a great respect for this silent and attentive auditor; and, in fact, had, in his own secret mind, set him down as a hopeful convert to Americanism; he thanked him, therefore, with much feeling, for his good opinion ; at the same time disclaiming any merit, for success in defending a truth so self-evident, as that which is expressed in these few words—that a nation ought to govern itself, and that by the popular vote of its own citizens. Even today, very few people understand that their political system is a complete sham, and that any representatives of theirs are chosen not by them but by people who have a specific agenda counter to their own. How could this come about? BigMedia is the megaphone of the Jesuits. It is the means by which they disseminate news to the American people. News about politics and their politicians. News about healthcare and their health. News about education of their children. Any news whatsoever is constructed by the Jesuits, presented in a very slick production by pretty people you can’t help but ogle and drool over. The average American can be led about quite easily, as evidenced by the latest statistics on how often Americans watch various forms of news and especially entertainment on tv: more than five hours a day, depending on age and ethnic group. Poor people talk about characters in tv shows, the lottery, and how to get rich quick. They do not talk of wishes and dreams, how to attain meaningful goals, how to get educated and get a great job. Poor people also gamble much more than any other economic group. They eat more junk food than any other group. They do more illegal drugs and abuse alcohol than any other group. And poor people watch more tv than any other group. Interestingly, poor people over the past 50 years have had a new neighbor introduced to their lowly society: the Middle-Class American. Now, more than ever, the poor class is swelling to consume close to half of the American population. The Jesuits have nearly concluded their take-over of the American population, not just via politics but also by many other means that attract, hook and pull in unsuspecting people. And that is its primary purpose: control you and your thoughts and behaviors, regardless of which candidate you vote for, what your stance is on certain policies and issues. Today’s political landscape is tightly controlled by the Jesuits and the hundreds of top-tier corporations whose CEOs do their bidding and ensure their business runs according to the playbook designed and implemented by the Jesuits. The average voter thinks he has a say in political issues because he takes the time to vote, donates to his favorite political candidate, and supports his party any way he can. That notion could not be further from the truth. Policies are decided not by popular vote but by predetermined actions and outcomes behind the scenes. And they have absolutely nothing to do with the average American, except that they steer him in the direction they wish for him at that time. Since its inception, America and her politics have been designed and controlled and manipulated by the most prolific society in modern history. They are the finest ghostwriters of both secret and public works of law that work behind the scenes, of public policies that affect everyone, of popular books that influence millions of various ages. These men are the most persuasive recruits of world-class talent they use to create works of art that manipulate the minds and souls of the population: stories, paintings, etc. The members of this highly successful society are worker bees and ants, never taking credit for their own work, but rather allowing some public figure to accept the credit because the Jesuits know the public will be drawn to this charismatic public person. And that person can be controlled and manipulated against their will to do the bidding of the Jesuits. American politics follows these patterns exactly, with controlled and manipulated politicians following prepared scripts written by the Jesuits. Those men and women who obey the rules are rewarded with long careers in politics or, even when they leave politics in total disgrace, in the private sector. Those unlucky few politicians who depart from the Jesuits’ script or who stray too far from their party’s politics are removed from office either through embarrassing scandal, threats or murder. President William Henry Harrison served only 32 days in office as president, from March 4 to April 4, 1841, before the Jesuits poisoned him. As a message to all others who would oppose their authority, the Jesuits also brutally murdered all but one of President Harrison’s family, leaving a son, John Scott Harrison, Esq., a member of Congress from Ohio, to carry the message to would-be dissenters in the future. Curiously, Congress granted the president’s heirs (ultimately, only John Harrison) $25,000 in compensation for their loss, although the bill supporting it was hotly contested by parties on both sides. Lincoln’s assassin, John Wilkes Booth, not only escaped prosecution, he lived to old age under a assumed names (David E. George, John St. Helen among others). Booth died on January 13, 1903 in Enid, in the Oklahoma Territory, after voluntarily ingesting either strychnine or arsenic. On July 2, 1881, President James Garfield was shot and killed by Charles J. Guiteau in another well-planned Jesuit operation. Less than six months after his election, President William McKinley was shot and killed by Jesuit assassin Leon Czolgosz, thus emplacing Jesuit puppet Theodore Roosevelt. On November 22, 1963, President John F. Kennedy was gunned down by multiple assassins from the Jesuits’ very own Murder, Inc., the Central Intelligence Agency. The list of American political assassinations by the Jesuits numbers in the hundreds and includes not only high-ranking officials of both political parties in the government, but also the White House (Deputy White House Counsel Vincent Foster), Commerce Department (Secretary Ron Brown), Defense Department (Navy Secretary James Forrestal), military (Army General George Patton, Navy Admiral Jeremy Boorda, Army Corporal Pat Tillman), Justice Department (dozens of attorneys and aids), FBI, ATF, CIA, and many other departments. During President Clinton’s presidency, more than 40 people, some close associates of the president, died suddenly under mysterious or suspicious circumstances, or were murdered outright. The probability of this many staffers and employees dying during this short period by chance alone is virtually zero. Sadly, more than 150 years later, even with all the warnings from keen observers and insiders and egregious Jesuit behaviors, Americans still have not gotten the message, much less understood and acted on it. This unfortunate phenomenon is a grand testament to how brilliantly the Jesuits’ PR machine functions. 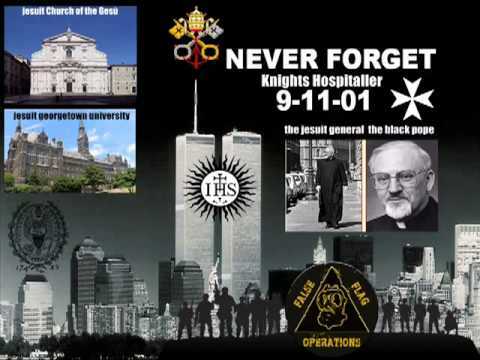 The Jesuits’ political reign of terror continues to this day, to ensure they maintain complete control over, and manipulation of, the entire political spectrum, not to mention every sector of American society.